The University of Leeds is a research intensive red brick university in the north of England. The city of Leeds is a vibrant cultural and business centre in the county of West Yorkshire and has a population of around 443,247. It is approximately 200 miles from London and has a frequent train service to the capital taking approximately 2 hours. Nearby Leeds-Bradford airport has direct flights to London and many European cities. The average lowest temperature in the area is 1.5 degrees in January and the average highest temperature is 21 degrees in July. The university was established by Royal Charter in 1904. Its history is linked to the development of Leeds as an international centre for the textile industry and clothing manufacture in the United Kingdom during the Victorian era. In 1831, the Leeds School of Medicine was established with the aim of serving the needs of the five medical institutions which had been established in the city. In 1874, the Yorkshire College of Science was created to provide education for the children of middle-class industrialists and merchants. The University continues to recognise these elements of its history; for example, there still remains a Clothworkers’ Court on campus. The University is based on a single, city centre based campus with three on-campus accommodation options. It is a ten minute walk to Leeds’ city centre following major road routes. Public transport is frequent and the Student Union also provides a student-only night bus. 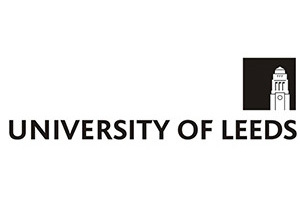 University of Leeds is ranked =153rd in the Times Higher Education rankings. Leeds is ranked between 101-150 in the Shanghai Jaio Tong rankings and Leeds is a member of the Russell Group of universities. University of Leeds is ranked =12th in the National Student Survey Satisfaction survey. There are approximately 6,800 international students at Leeds university representing about 22% of all students. Pathway entry for international students-NCUK offers foundation courses leading to degree course entry at Leeds. There are over 31,300 students at Leeds university, 23,756 undergraduates, 7,568 postgraduates. 92.6% of Leed’s graduates enter directly into work, further study or training within 6 months of graduation (source:HESA). A breakdown of post graduation employment by course, showing the split into professional/managerial positions, rather than general employment figures, is available from Unistats an independent source of university data. For more information, please visit the REF Information page. The University of Leeds campus is a 20 minute walk from Leeds city train station and is close to the heart of the city’s shops and entertainment venues. The city centre has excellent public transport connections to outlying areas. The University of Leeds has a state-of-the-art fitness, sport and well-being facility called The Edge which includes a 25m eight lane swimming pool and a large fitness suite. The students’ union has more than 250 clubs and societies. The academic research library is one of the largest in the UK. The University of Leeds has three on-campus halls of residence and one off-campus hall – Devonshire Hall which is half a mile from the campus, offering a range of accommodation types. A standard academic session lasts 39 weeks for rental purposes. The university also has a wide range of off-campus self-catering accommodation available to graduate and postgraduate students. The lowest price for a single room with shared bathroom and kitchen facilities is £85.00 per week. An example price for catered accommodation is £177.00 at Lyddon Hall. Fees for full time undergraduate courses start at £18,500 for Arts & Humanities subjects, rising to £22,750 for Engineering and Science courses.. The University of Leeds offers distance learning across Certificate, BA, BSc, Masters and PgDip levels. 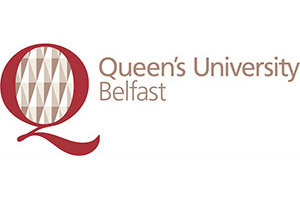 Example courses: MA in Teaching, BSc Chemistry, Executive MBA.